Augusta Health has received the 2012 HealthGrades Patient Safety Excellence Award, ranking in the top 5 percent of all hospitals in the United States in patient safety for the third year in a row. 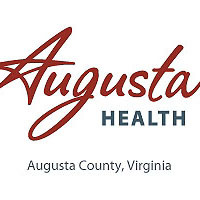 In a study released by HealthGrades, a national source of healthcare provider information, Augusta Health was only of eight hospitals in Virginia to receive the award, and one of only three in Virginia to receive it consecutively for the past three years. The other two hospitals are Lynchburg General Hospital and Winchester Medical Center. According to HealthGrades, patients at hospitals who received the Patient Safety Excellence Award experienced 48% fewer patient safety incidents, on average, compared to poorly performing hospitals. If all hospitals performed at this level, HealthGrades estimated that 254,000 patient safety incidents and 56,367 deaths among Medicare patients could have been avoided. The study analyzed 40 million records from approximately 5000 hospital nationwide, using Medicare inpatient data from the Medicare Provider Analysis and Review (MedPAR) database and Patient Safety Indicator software from the Agency for Healthcare Research and Quality (AHRQ) to calculate event rates for 13 indicators of patient safety for all the nation’s hospitals.